Just a quick post to show my finds from this past weekend's estate sales here in Dallas. 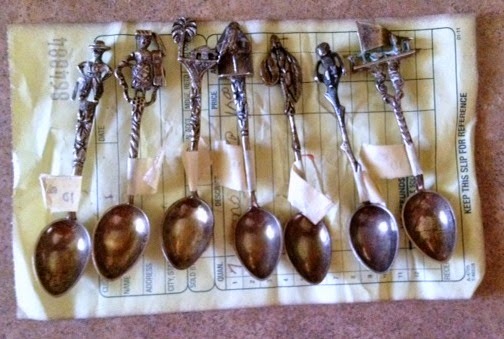 First up, my latest obsession-- vintage silver salt spoons. 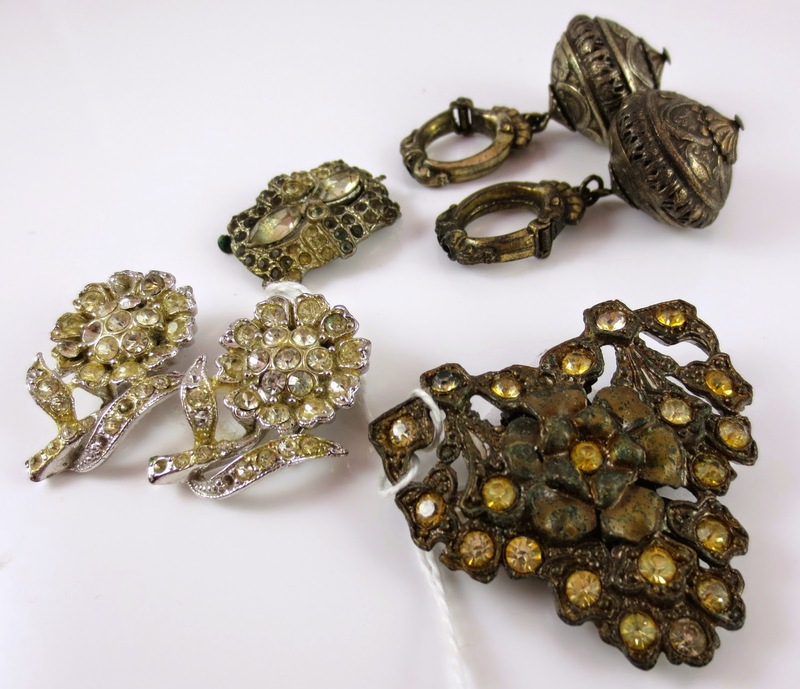 They're teeny, they're ornate, and they are a fun thing to collect- so here we go! This is my second set I've bought. These are all from Brazil, and if you notice, the headstocks are different things related to the country- a monkey, a palm tree, a parrot, etc. I saw them at a sale on Friday, didn't buy them, but couldn't stop thinking about them. I told myself I'd go back on the final day of the sale, once things were marked to 50% off... If they were still there, they were meant for me. 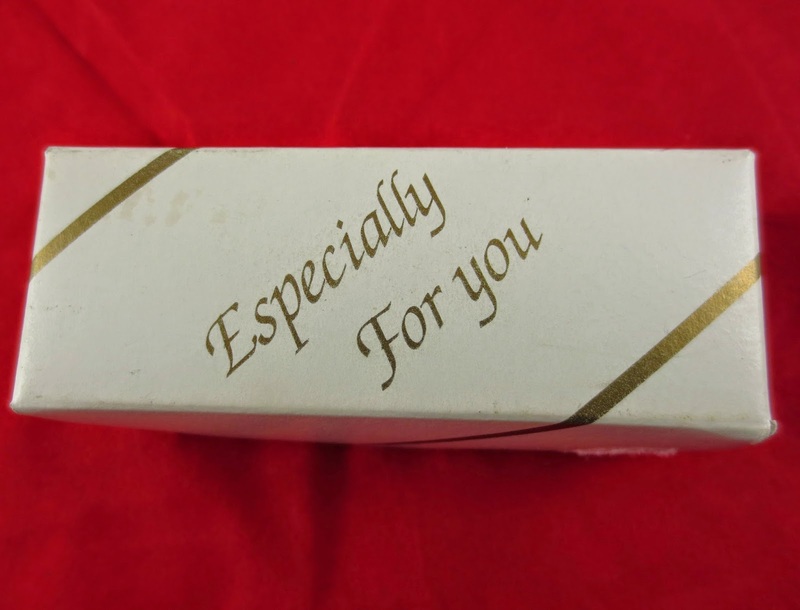 Well, they were meant for me! I was so happy. Major, major score and definitely the find of the weekend that I was most excited about! 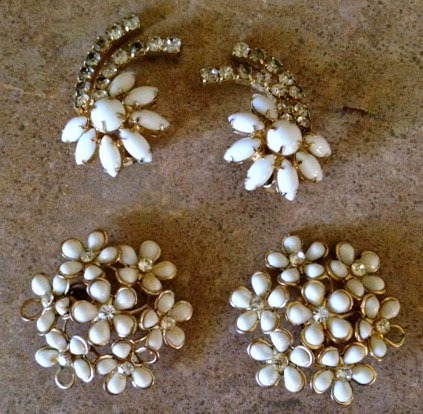 I also found a couple of pairs of fancy vintage clip earrings. At that same sale, I found a couple of vintage pins. 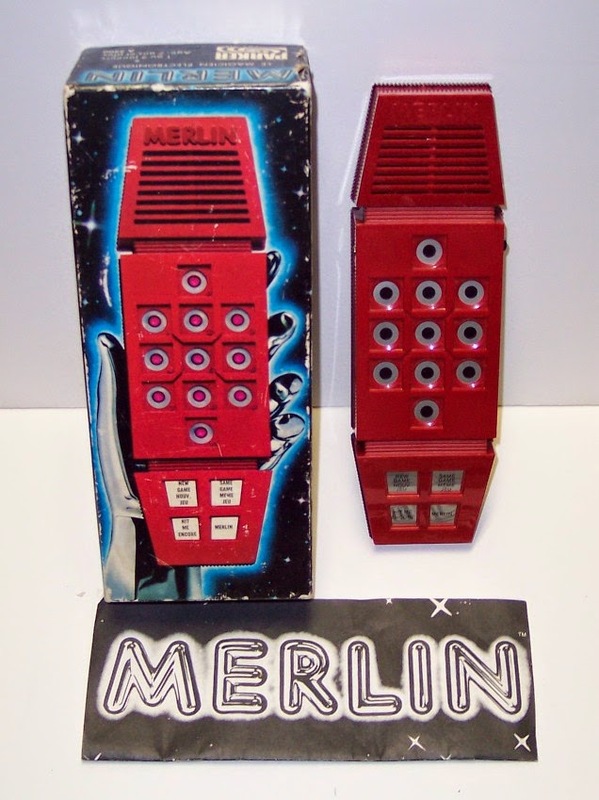 This sale was great- The prices were more than fair, which lately, that's a rarity! 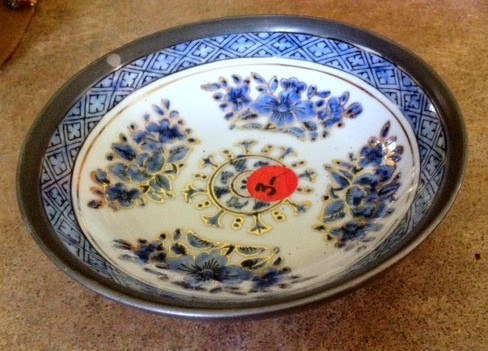 I also found this bowl, made of porcelain and pewter, so it's nice and heavy. Love it. I've seen these sell for $25, and I snatched this one up for $3! What a steal. Seriously, Andrew Chow, leave me alone. I am a Diplomat named Mr.Andrew Chow mandated to deliver your inheritance to you in your country of residence. The funds total US$15.5 Million and you were made the beneficiary of these funds by a benefactor whose details will be revealed to you after handing over the funds to you in accordance with the Agreement I signed with the benefactor when he enlisted my assistance in delivering the funds to you. I am presently at JFK Airport in the United States of America and before I can deliver the funds to you, you have to reconfirm the following information so as to ensure that I am dealing with the right person. Does anyone really fall for this stuff?!?! For several years, I had a cellist that accompanied me at many gigs, played on 2 of my CDs, and became a very good friend along the way. 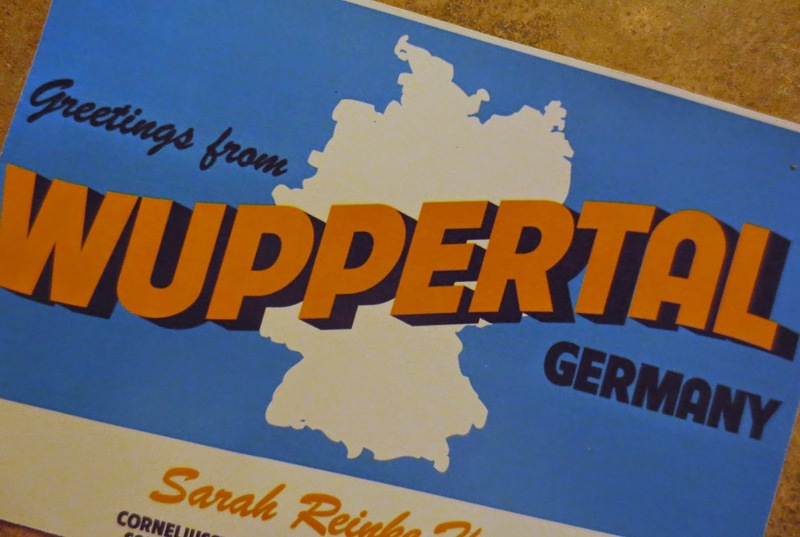 Sarah and I had fallen out of touch over the past year, until I got a party invitation from her last week, with her new last name on the return address. 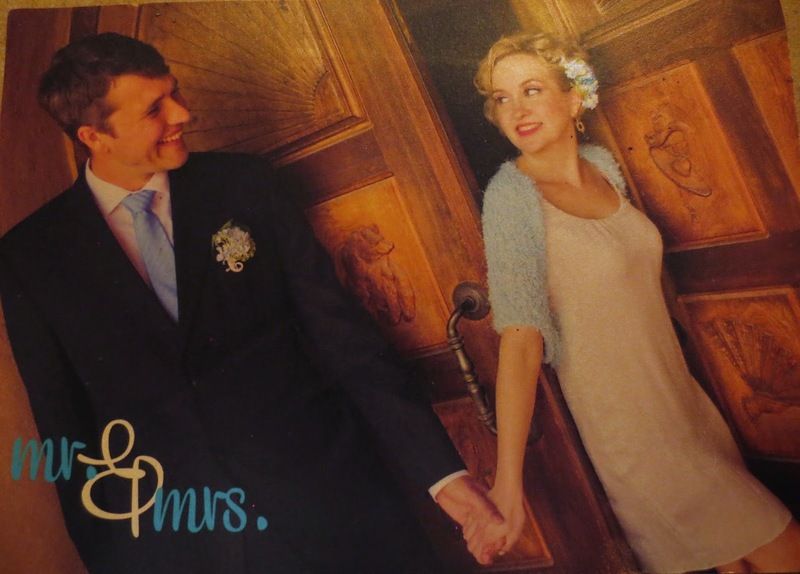 She's married a very cute German man, is moving (tomorrow) to Germany, and is having a baby girl in October!! We went to her Bon Voyage party yesterday. It was so fun, and funny-- meeting her husband, seeing their huge smiles, and that baby girl growing in her belly! Life can change so fast. Although I hadn't called her in over a year, I thought I could call her anytime, tell her to grab her cello and join me at a gig. Now that I know she's moving, and so far away, I realize, I may never get the honor of playing with her again. And although I am so happy for her, it just makes me so sad. Weepy even. I've gotten further and further away from being a gigging musician over the past couple of years and this is just another door that seems to be closing on that chapter of my life. So I'm feeling nostalgic. And I'm looking back to those days. And I'm just so happy I had those opportunities. And I'm so glad that for some of it, Sarah was right there beside me. Here's an old video, one of our early little gigs together at Central Market, performing my song, "Walk Beside Me". I recently got a Dexcom constant blood glucose monitor. Because I'm a Type 1 diabetic, I check my blood sugar pretty often- before meals, before workouts, before bed, and sometimes, if I'm feeling funky, other times throughout the day. It usually works out to be between 6 and 8 times I day I prick my finger to check it. And that sounds like I do it often. But when you think about it, there are lots of times I have no idea what my blood sugar is doing. For example, while I'm asleep. For all I know, it spikes up, down and all around. Occasionally I wake up (usually from some strange nightmare) in a sweaty, trembling mess, and have to get some sugar in me to treat a low blood sugar. Other than that...no idea. I want to live the longest, healthiest life I can, so it's in my best interest to keep a tight control on my blood sugars. That's why I got this Dexcom. Now I can see what my blood sugar is doing all the time. I can treat a high or low reading that much quicker! My blood sugar graph of the past couple of hours. When I was first diagnosed with diabetes, it seemed so complicated and overwhelming. Much like this Dexcom does right about now! But now diabetes, it's just a little part of my life. Taking the shots and checking my blood sugars are as common and easy as brushing and flossing my teeth. I know this Dexcom will feel that way soon. 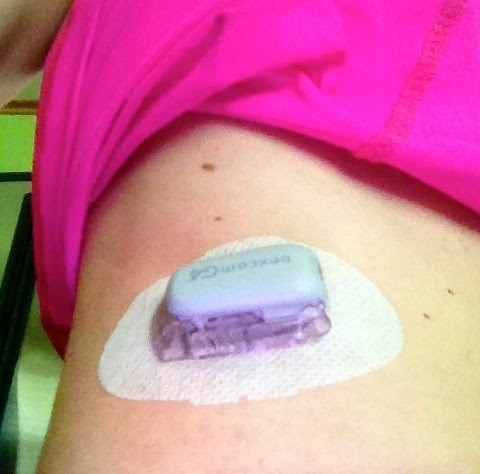 Last week, I went to the doctor's office to get help with my initial insertion of the Dexcom sensor. It seemed like so much to remember, and there seemed to be so many ways I could potentially screw things up. It has to be replaced weekly, and this morning I did it all by myself! No crying, no fainting!! I didn't screw anything up. Yay, Me! TAH DAH! 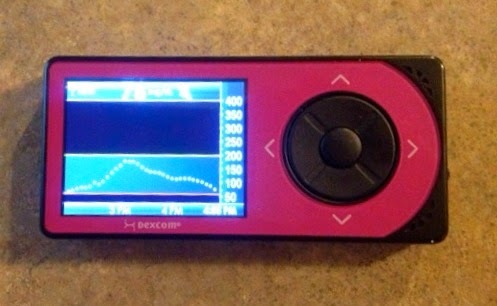 Dexcom G4 insertion success! I was just a little overly cautious and anxious. Next time, I'll be even better. Well, I only made it to one estate sale this weekend. What the what? Alas, 'tis true. 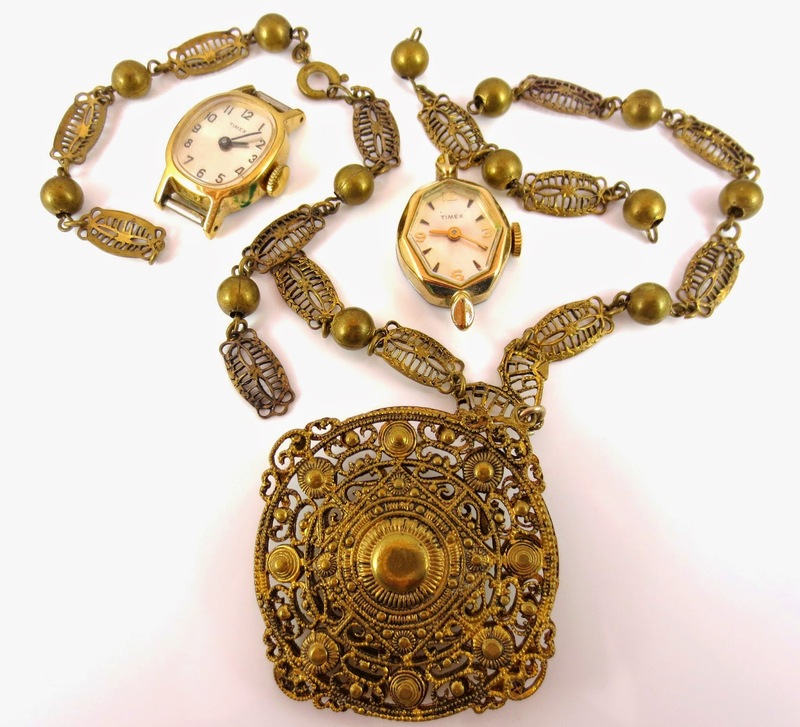 But, I found this pretty vintage filigree (broken) necklace, and these two vintage Timex watch faces. Clearly, these Timex really do take a lickin' but keep on tickin'! 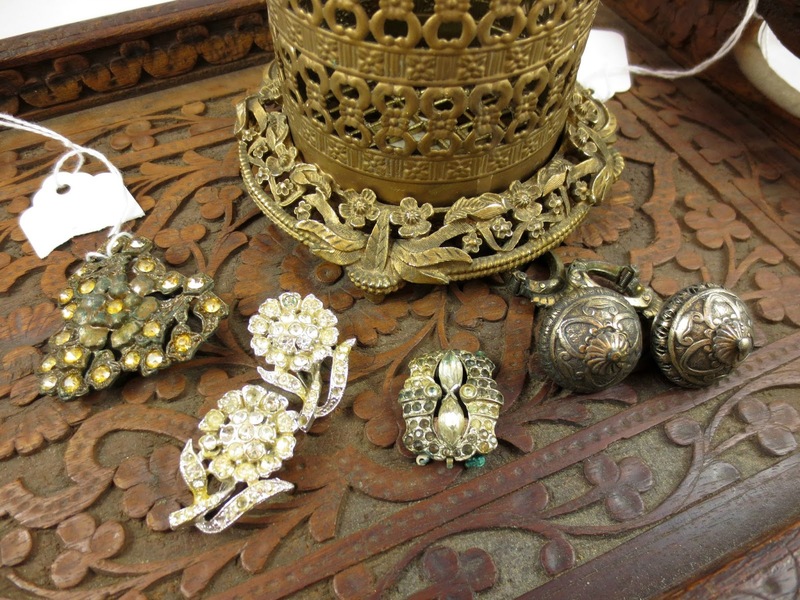 Just my kind of stuff- vintage, pretty, in good shape, but broken and needing a little TLC. 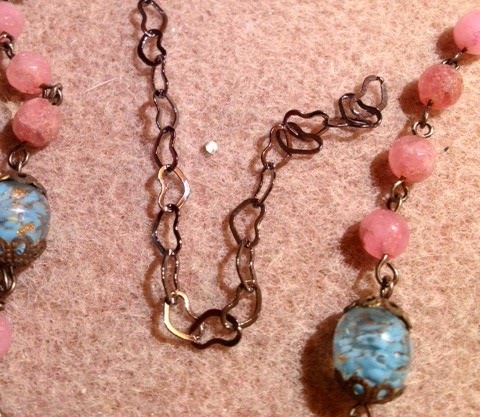 I'll be sure to post whatever repurposed jewelry I make with these on the blog...eventually. Have a great weekend! 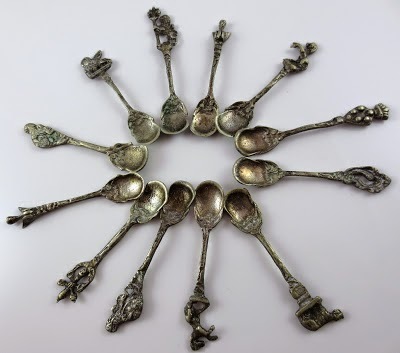 Last summer, I ran across these sterling silver baby spoons from Italy. I don't remember how much I paid, and I had no idea what I was going to do with them, but I just couldn't pass them up. They're beautiful. Each one has a different headstock. The other day, I found out a friend of mine is pregnant and will be having a little girl in the Fall. How exciting! And then I realized why I bought those pretty spoons last year. 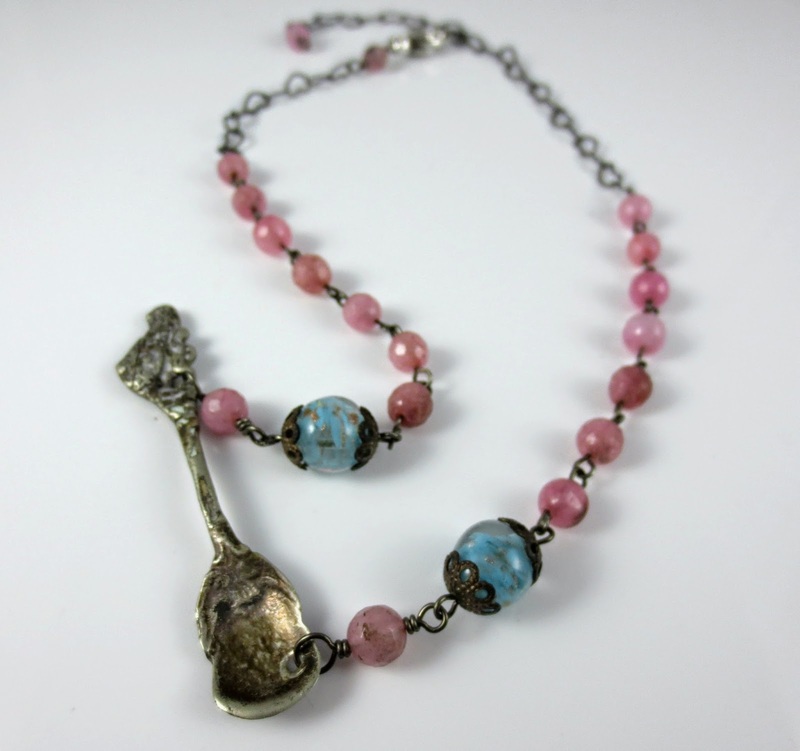 Obviously, I paired the spoon up with pretty pink beads, because my friend is having a girl! But just in case they're wrong, I threw in a couple of little blue swirl beads for good measure. Also, my friend's favorite color is turquoise. 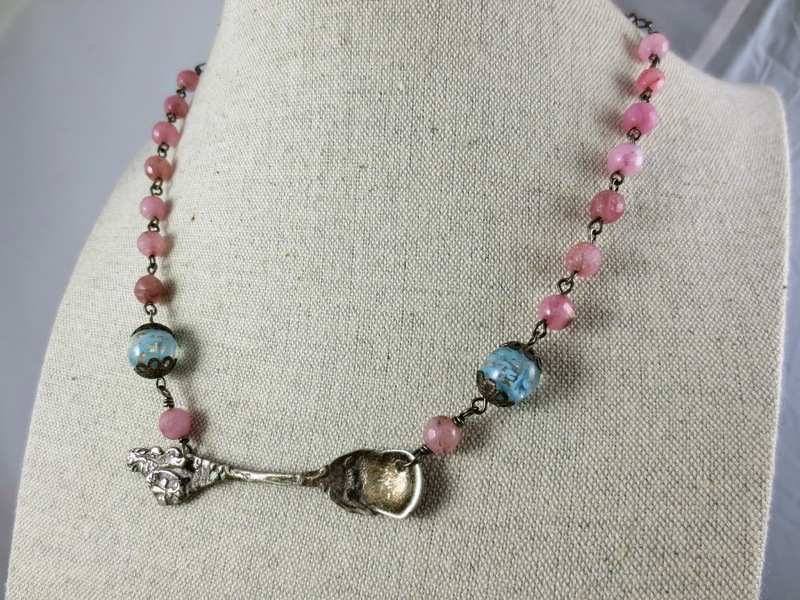 I had bought this heart link chain months ago at a bead show. I love it so much, I've sort of just been hoarding it, as I often do with the things I love the most. But I knew this was the perfect project to use it in. When I was a little girl, I sorta lived for Miss USA. Or was it Miss America? And honestly, what's the difference and which is which?! I probably watched them both and just didn't realize it. The only difference I can figure between the two prestigious award shows is the "There She Is, Miss America" song, which I have learned, is no longer used anyway. So who cares? I watched the 2014 Miss USA 3 hour show last night. 3 hours of watching 51 women (because in the pageant world, D.C. is a state), which was soon cut down to 20 women, walking around onstage in ballgowns, and eventually bikinis. That took up about the first 2 hours and 45 minutes of the show. Once they got down to the final 6 contestants, the girls had to answer a question, read to them by one of the judges. Painful? Yes, a little. Funny? Most definitely so. Miss Nevada was asked her tricky question (which she only had 30 grueling seconds to answer) by judge Rumor Willis. Her question was, "Why has evidence of sexual assault on college campuses been swept under the carpet?” Her response was basically that colleges want to protect their reputations. And with that, she was crowned the winner! Yay! My Vintage Finds at Estate Sales This Weekend! 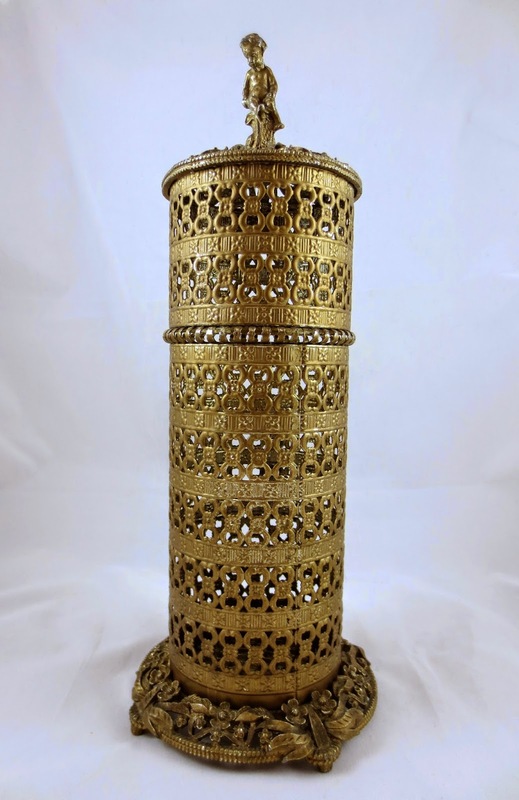 This ornate container- container intended for what, I'm not sure. Cottonballs? Make-up Brushes? I'm not sure yet what I'll use it for, but trust me when I tell you, I'll figure something out. I just love it. And I got it for only $4!!!! 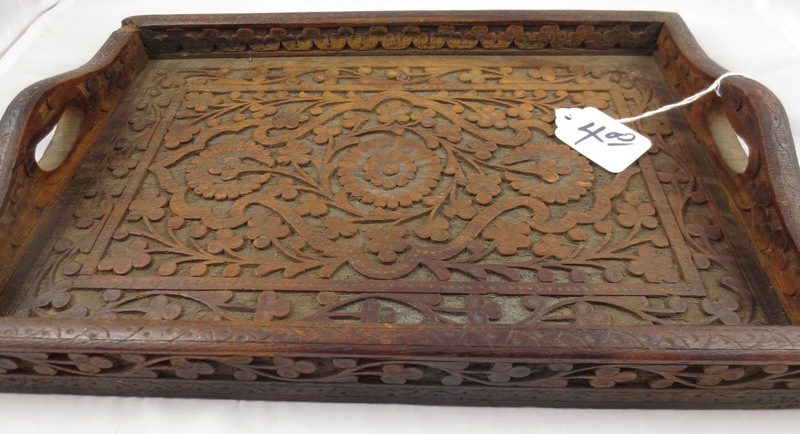 This pretty wood carved tray. It matches a mirror I have in my bathroom, and I think this tray will fit perfectly on the back of my toilet. What a steal at $4, right?! 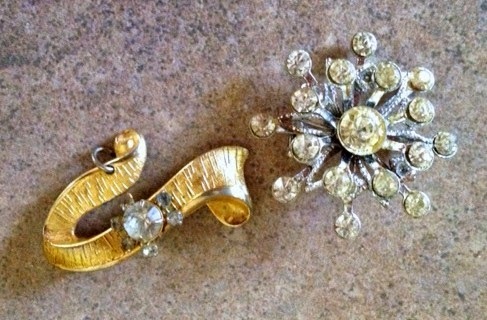 The vintage jewelry I came home with will be gorgeous once I sparkle it up a bit. I'm most in love with the sweater clip (bottom right), which I probably paid a little too much for. However, I got a few of the other items for a great deal, so it all balanced out and I left that estate sale very, very happy. By the way, the top earrings are clip earrings with clips I have never seen before. Way, way too heavy for me to consider wearing, but still cool, nonetheless. I already have an idea of how I might repurposed them. All in all, great finds this week! Ok, so I paid a little too much for the carved flower bead necklace but I have an idea for using those beads to make some earrings, and I just couldn't resist! 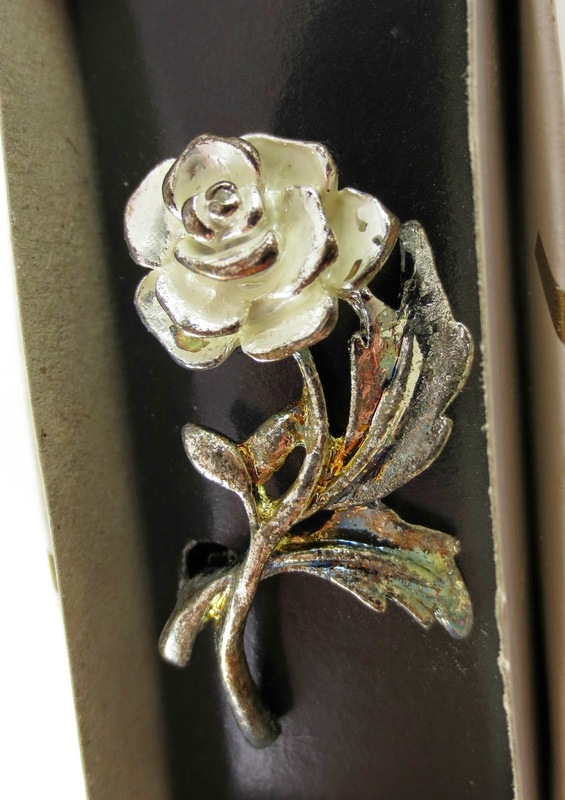 And although I think the silver and white pin is super cute, I'll admit, the main reason I had to buy it was because it was still in it's original box. 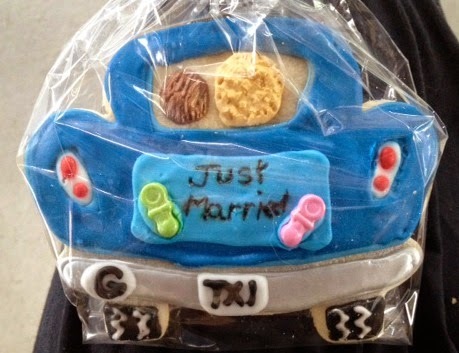 I just thought it was so cute. I just wish I knew where it came from, and exactly when! 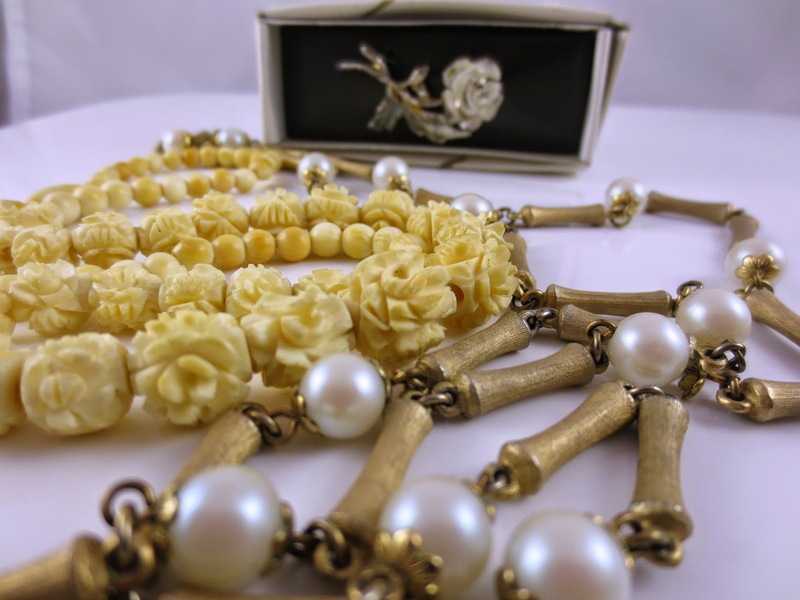 It's not a stamped piece of jewelry so researching it's history would be pretty impossible. But it's clear, it's was meant especially for me! ...but it was this box it came in that I just couldn't walk away from! I think I went to 3 estate sales that day, and this was all I came home with. But like I've said before, it's always fun looking even if I don't buy much! 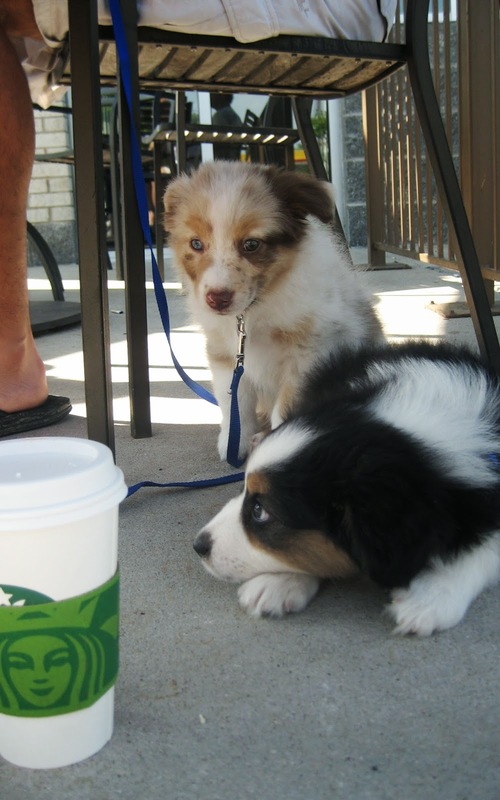 When Lucy and Ricky were a little younger, I took them on lots of field trips. Besides going to nearby parks, and White Rock Lake, I'd alternately take one of them to dog friendly places like Home Depot, Half Priced Books, or Pet Supplies Plus. But because there's only so much time in each day, I've gotten a little lazy, and these days they mainly just get a couple of walks in the neighborhood each day. After taking Ricky with us to Rusty Taco over the weekend, I realized this is absolutely not enough. Ricky seems to have turned into a little monster. Onlookers that saw (or heard) him as he got out of the car in the Rusty Taco parking lot can attest to this. He was screaming like a banshee. I think his pupils may have even dilated he was so overly excited. I think it was the combination of the smell of tacos along with all the friendly faces. But it was not cute. So we're back to field tripping. It may not be fun at first. And it may not be pretty. But Ricky's got to get over this. It's funny. Lucy use to be the one that seemed a little nervous in public. But I've taken her out a few times the past couple of weeks on errands with me, and she has been a perfect angel. Unlike Ricky, Lucy seems to be mostly focused on me, and just being a good girl. Ricky on the other hand, doesn't seem to even know I'm there. The over-powering scents of food and new people just send him into a frenzy for the first few minutes of being in a new place. But he'll get over it. It's my fault, and I know it. He just needs more experiences of being immersed in crowds of people and taco smells. Soon enough, he'll remember these other smells are no more enticing than ME! "Excuse me, do you have a taco?"